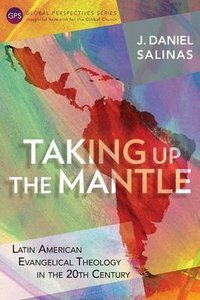 In Taking Up the Mantle Dr Daniel Salinas helps the reader understand the development of Latin American evangelical theological thought over the past hundred years. Salinas challenges new generations to pick up the task of contextually living out the biblical message, learning from the example of the godly men and women that came before them. History is full of faithful servants who read their Bibles and their surroundings to communicate the message for the church and the world, and this 'double listening', as John Stott referred to it, is required today. From the Panama Congress of 1916 to the end of the millennium, this book introduces us to figures from the Latin American church and encourages us to continue their legacy today. About "Taking Up the Mantle: Latin American Evangelical Theology in the 20Th Century (Global Perspectives Series)"